When I was in my early teens, the machinery we had on our family farm in southwestern Nebraska took 22 hours to disc 160 acres of ground. For those a bit more removed from farming, 160 acres is one-quarter of a square mile and is commonly called “a quarter.” Twenty-two hours is a lot of time, but it was an improvement over the abilities of the previous generation and certainly light speed faster than using horses. As my family acquired additional quarters and much larger machinery, our ability to cover ground was greatly improved, and 22 hours became 4. Farming practices were also much different when I was growing up. It used to be common practice to prepare the seed bed using as many as three separate operations across the same ground before going through the field again with a planter. As the corn grew, two additional passes through the field with a cultivator to mechanically remove weeds was considered “good farming.” That was a lot of time and diesel. Now, improved technology allows farmers to prepare their seed beds, apply all the necessary inputs, and plant in one pass. The second time they go through the field is at harvest. For anyone who has moved irrigation pipe or irrigated with siphon tubes, pushing a button on a center pivot system is an almost indescribable advancement. The desire to save time, fuel, and water—to always do more with less—continues to drive advancements in technology. Advances in technology are occurring now at a much faster pace in farming and irrigation, nearly season to season. 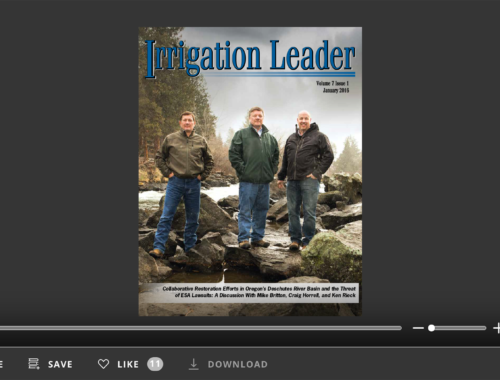 This issue of Irrigation Leader focuses on conservation, efficiency, and recycling—essentially, doing more with less. 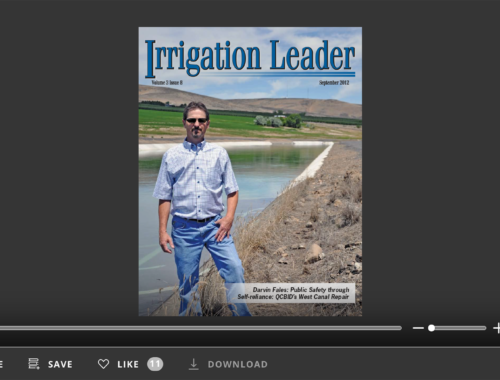 Our articles include a discussion of the systemwide improvements the Oakdale Irrigation District has undertaken to improve its water delivery efficiency; steel pipe manufacturing near Denver, Colorado, where Northwest Pipe Company focuses its efforts on making a quality American product; Israeli irrigation methods; and efforts in California to stretch water supplies through recycling. We also have a number of articles about commonsense solutions to regulatory issues. Senator James Inhofe (R-OK) discusses the needed passage of H.R. 872. Additionally, Kent Holsinger describes efforts to protect the sage grouse. Finally, Tim Bishop and Chad Clamage raise our awareness of another potential overinterpretation of the Clean Water Act. Since my time growing up on my family’s farm in Nebraska, water use has come a long way. 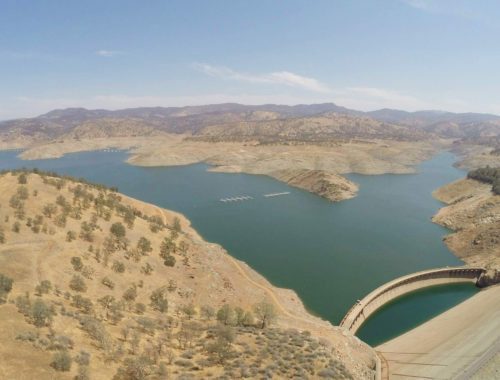 These efforts must continue in order to ensure the continued vitality of irrigated agriculture in the West for the next generation.